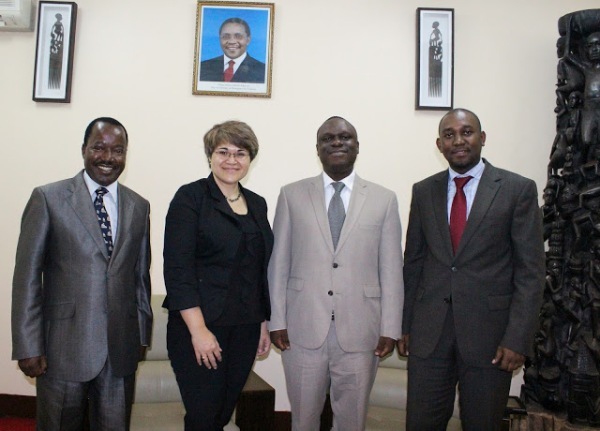 Tanzanian Ambassador Mbelwa Kairuki(2nd right), Ms. Georgina Roberts, Deputy High Commissioner of New Zealand, Mr. Mkumbwa Ally (left), Acting Head of Government Communication Unit and Mr. Khatibu Makenga, Foreign Service Officer in the Ministry of Foreign Affairs. “Rwandan President Paul Kagame must give up his delusional dreams of invading Tanzania. Otherwise, Tanzania will respond with full shock and awe force. … We will wallop him[General Kagame]. He[General Kagame] will be whipped like a small boy, “ Mr. Ally Mkumbwa , Acting Head of Government Communication Unit in the Ministry of Foreign Affairs told the Tanzanian media in Dar-es-Salaam, Tanzania on Friday July 12, 2013. “You know that unrest in DRC and Rwanda cannot end without both countries sitting down with their opponents to find a long lasting solution, ” Ally Mkumbwa added, saying that the Tanzanian President Jakaya Kikwete had given his advice to the Rwandan dictator in good faith. The Tanzanian official reiterated the stand of the Tanzanian President Jakaya Kikwete, stand that has since been supported by South African Development Community (SADC) (see our article here), the UN Secretary General Ban-Ki Moon and the Belgian Government (see our article here). The stand is that the Rwandan government should meet with its armed opposition in order to bring durable peace and security in Eastern Democratic Republic of Congo (DRC) and the Great Lakes Region Africa. Military showdown between Rwandan Defense Forces and Tanzanian People’s Defense Forces To begin soon. Despite denials from both the Rwandan and the Tanzanian government officials, a military showdown between the armies from the two countries will soon start. According to sources within both the Tanzanian and the Rwandan governments, the two sides have been preparing for war and are bracing for a military confrontation. The sources told AfroAmerican Network that the two armies will face off in Eastern Democratic Republic of the Congo through proxies: The Tanzanian People’s Defense Forces as the main component of the UN Intervention Brigade and the Rwandan Defense Forces as the backbone of the M23 Congolese rebels. “The Rwandans[Special Forces] are excited right now and are saying that they will hit these Tanzanians and teach them a lesson they will never forget, ” a source within M23 rebels working with Rwandan Defense Force Special Forces embedded within M23 Rebels in Eastern DRC told AfroAmerica Network. “The Rwandans [Special Forces] are saying that Tanzanians do not remember how to fight and will be routed without a fight,“ another source within M23 rebels told AfroAmerica Network. Whether these bravados will translate into real action or not, Eastern DRC may soon be the center of a power play between Tanzanian Jakaya Kikwete and the Rwandan General Paul Kagame and a place where the two may finally get even. While the rhetoric has escalated between Tanzanian and Rwandan officials, some Tanzanian officials have tried to appease the emotions. Recently, in front of the Tanzanian Parliament, the Tanzanian Minister of Foreign Affairs and International Cooperation Bernard Membe said that President Jakaya Kikwete’s recommendation for direct talks between the Rwandan government and its armed opposition was just an advice that General Kagame was free to accept or reject but that the Tanzanian government stands by that recommendation. “President Jakaya Kikwete will not apologise to Rwanda or change his stand that the Rwandan government should negotiate with rebels. There is no way the Head of State could apologise for saying the truth and stating a fact, “ Bernard Membe said on June 2, 2013. “If you don’t want advice you simply refuse, why start hurling insults? You don’t want advice, that’s it. Why petty insults? Since Kikwete said what he said in Addis, he never spoke of it again. Membe (Foreign Affairs Minister) replied in Dodoma and Tanzania didn’t say anything afterwards. Why is Kigali still going on about this? Comparing Rwandan armed opposition to Taliban and Al Qaeda? Nonsense. Children born in 1994 and Hutu refugees in Congo, are they killers too? Let us think very carefully on this. Indeed if there are genocidaires, they should be pursued, arrested, tried and convicted. But the majority are people who have the full rights to participate in the politics of their country Rwanda. They have been prevented from doing so by the current government of Rwandan and hence, have resorted to arms. With these people, the Rwandan government must sit …sit at the negotiation table, hold direct talks, and come to an agreement. There is no need for the two countries to go to war against each other. We have other wars to fight, such as poverty. 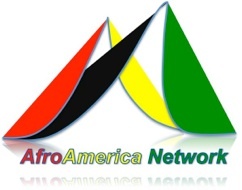 ©2012 AfroAmerica Network. All Rights Reserved. Hey brothers ! Can’t we discuss and exchange like brothers without any insult ? tanzanian or rwandan, we all are human beeings, africans and we all love our countries and need peace. Let be even more and think as panaffricans; let respect each other and respect our leaders ,our peoples, Africa. WE ARE BROTHERS willing or not willing . A war between our two nations can only bring misery and desolation to our peoples, REGARDLESS TO THE WINNER. It would be a fratricidal and senseless war. Let us therefore talk BETTER about how to reconciliate our leaders who must think first of peace for their peoples. Thank you. East Africa community made one of the biggest mistakes, to allow Rwanda be among the members of EAC. we should not have allowed these people since they only come to bring chaos and enemity among members. kagame is among the worst people one should not make friendship with, and this will always cost majority Rwandans just for the personal interest of an individual/kagame. this should be a lesson, for us east africa community members, not to allow everyone into our community, lets give them time so we know them before they become member. south sudan, ethiopia and somalia proposals should be put aside, just this new member rwanda is disturbing us, what if we get more members from civil wars? Rwanda and Tanzania we are brothers why should we engage in unneccesary conflicts? Please let us stop entertaining war among ourselves. If we’ll fight neither kagame no kikwete will be killed,but the inocent citizens of both sides will shade their blood. Therefore let us be one and stop threatening each other since we are all africans. victor am sorry for you about what you’re saying.you’ll be surprised if Tanzania try even show a finger to the powerful warriors of Rwanda. as u just stated that Israel ideology? shame on you, Israel never and will never loose any war as Rwanda will. Where is Idd Amin…??? Tanzania just gave a piece of Advice!!! But Kagame went crazy as Kikwete never repeated a word!! We are just brothers in Africa. I know RwandaUrundi was a part of Tanzania long ago but colonialists just took that portion away from Tanzania long ago. I’m Kenyan but I see Tanzanians just did a right thing to help DRC, now that Rwanda want the war in Congo to continue!!! Funny and shamefully on Rwanda!!! Can they ever sustain fighting with the mighty army of Tanzania??? Isn’t Rwanda just surrounded? Coz they will be beaten from DRC (where TZ has its army) and also from Tanzania??? Crazy… I think Kagame has just decided to sacrifice his country and gooo… It was the Fascist Idd Amin (combined with Libya on their side) that ONLY Tanzania had to devastate, then the Nzuani dictator that ONLY Tanzania had to fight a SCIENTIFIC war, now KAGAME! Now Africa has decided to help DRC again with Tanzania, GO TZ GO…. Primo: the Rwandan refugees whose majority hails from Hutu ethnic group but also including Tutsi have the absolute right to return home in honor. Secundo: Refugees based on the Congolese soil should not be given a special consideration relating them them to jenocide, but should be seen as rightful citizens of Rwanda and treated with dignity. I am back for a reply to you John. May be you don’t know why Israel had to fight my friend Caleb. Just a simple adcice that you ‘re free wether to accept or not , that u want to go for fighting with Kikwete! That is nonsense my brother ,you ‘d better know that the hutu have the right to go back in their country. You don’t need to be one of those bloodsuckers. Everyone want the peace back in DRC and Rwanda as well .Kagame is a cruel man who invades Congo, people are trying to find out solution you become existed for no reason . How low memory are you guys. You are not Israel, your leader and his band of killers have defiled the east part of Congo with sheddig innocent blood. YHWH G-d who protects Israel against the multitude of her enemis, does not protect evil leader nor the murdering army. Kagame is a evil and proud man… Very soon his jugement will fall and his day of reckoning is coming soon..
Tanzania never said they were going to attack Rwanda you propagandist Caleb. But Kagame said he would hit Kikwete and called him shameful names. You cant compare Rwanda and his killer Kagame to Israel. Kagame has wife and kids yes.. But act as a kid. I love that guy you said it.